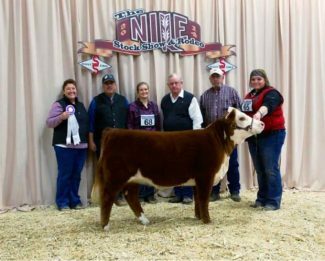 Reserve Champion Miniature Hereford Bull: Livin Dream Odessa's Boone; Sired by -DF Cascades Maveric; Beatrice Jensen, Polson, Montana. Grand Champion Miniature Hereford Female: DF Captains Lady Virtue; Sired by - DF Captain Jack; Jerry DuVal, Silverton, Oregon. 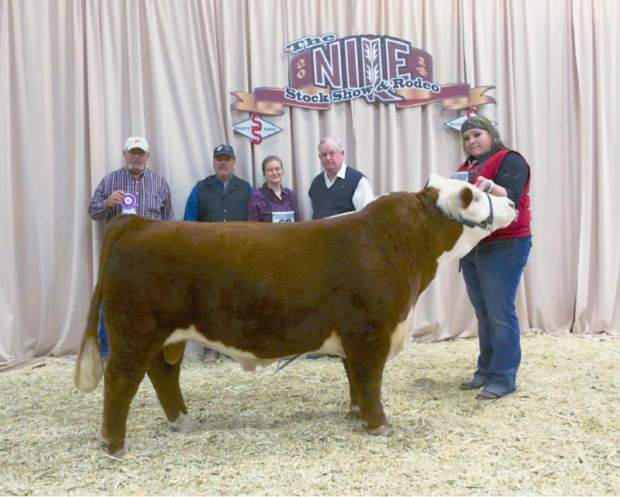 Grand Champion Miniature Hereford Bull: DF Cascades Noble King; Sired By - DF Sullivan; Jerry DuVal, Silverton, Oregon. 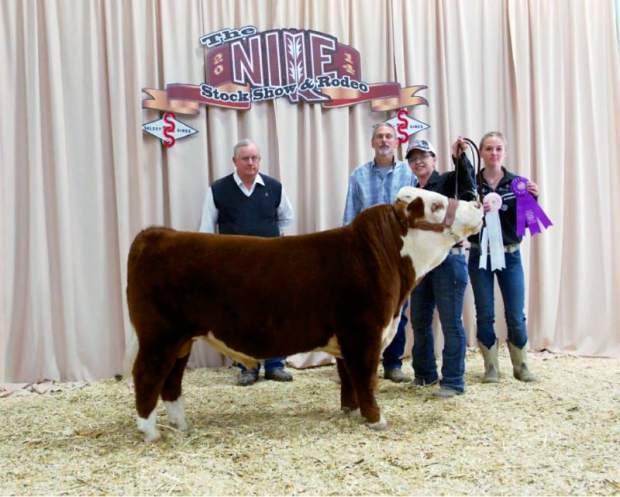 Reserve Champion Miniature Hereford Female: WW Golden Shadow; Sired by - WW Sam's Golden E; Brice White, Craig, Colorado. 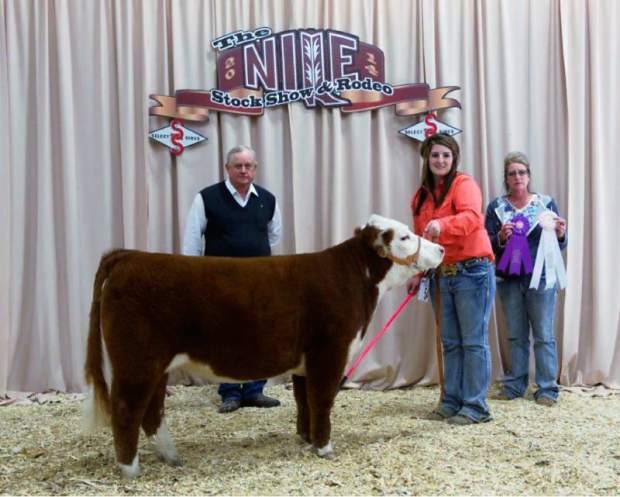 The Northern International Livestock Exposition (NILE) Stock Show hosted the Miniature Hereford Show on Thursday, October 16. 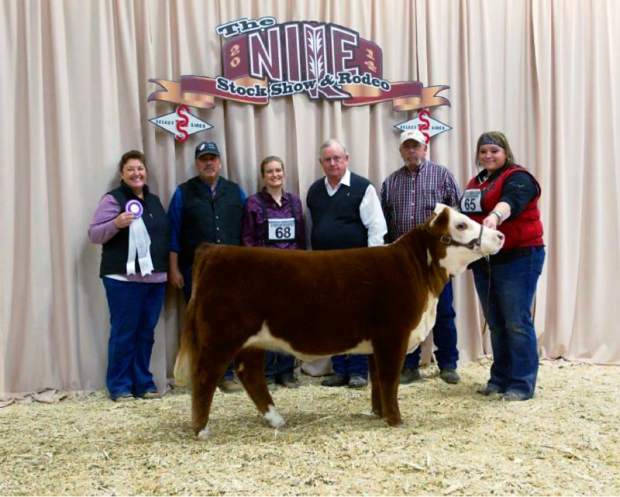 The judge for the Miniature Hereford Show was Quintin Smith of Lebanon, Tennessee.